It’s always good to know what is the source of alerting information in SCOM . From where does the SCOM tool / server gets the Alerting data which is being showed in the console . Well ! The source is WMI and WS-Management ,Windows Logs , Unix Logs ,Performance Counters ,API Calls and Scripts etc . From these sources the SCOM tool gets the Alerting data . 4. Total number of servers in Main Office = 20 and Each Branch Office has 10 servers Each . 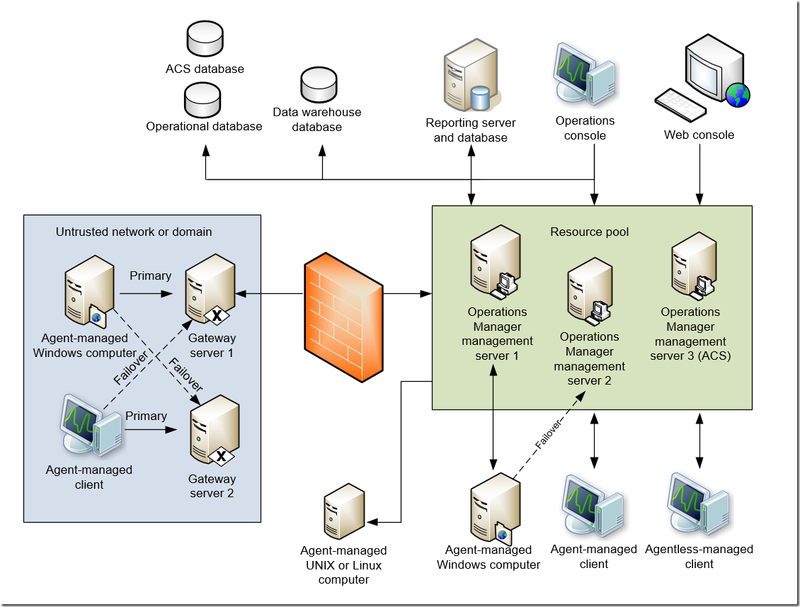 Considering that this architecture has a less number of servers to be managed , we can go for 1 Server with different roles being assigned to it . For many years Operations Manager has delivered infrastructure monitoring, providing a strong foundation on which we can build to deliver application performance monitoring. It is important to understand that in order to provide the application level performance monitoring, we must first have a solid infrastructure monitoring solution in place. After all, if an application is having a performance issue, we must first establish if the issue is due to an underlying platform problem, or within the application itself. 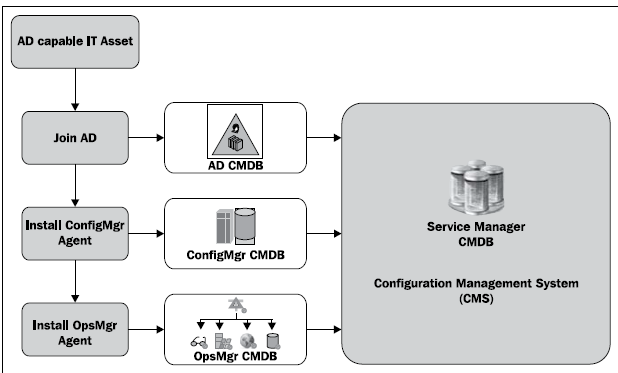 A key value that Operations Manager 2012 delivers is a solution that uses the same tools to monitor with visibility across infrastructure AND applications. So it must be hard to configure all this right? Lots of things to know, application domain knowledge, settings, configurations? Rest assured, this is not the case! We make it incredibly easy to enable application performance monitoring! 1. Define the application to monitor. And that’s it, you’re now set to go. Of course setting the threshold levels is the most important part of this, and that is the one thing we can’t do for you… you know your application and what the acceptable performance level is. It’s great that we make the configuration of application performance monitoring so easy, but making that information available in a concise, impactful manner is just as important. 2. Choose your layout structure. There are many different layouts available. 3. Specify which information you want to be part of your dashboard. 4. Choose who has access to the dashboard. As you will see a little later in this article, publishing information through web and SharePoint portals is very easy. And just like that, you’ve created and published an application performance monitoring dashboard! Anyone who has either worked in IT, or been the owner of an application knows the conversations and finger pointing that can go on when users complain about poor performance. Is it the hardware, the platform, a code issue or a network problem? This is where the complete solution from Operations Manager 2012 really provides an incredible solution. It’s great that an application and associated resources are highly available, but availability does not equal performance. Indeed, an application can be highly available (the ‘5 nines’) but performing below required performance thresholds. The diagram below shows an application dashboard that I created using the 4 steps above for a sample application. You can see that the application is available and ‘green’ across the board. But the end users are having performance issues. This is highlighted by the client side alerts about performance. Once you know that there is an issue, Operations Manager 2012 provides the ability to drill into the alert down to the code level to see exactly what is going on and where the issue is. An important aspect of application performance monitoring is to be able to see how your applications are performing over time, and to be able to quickly gain visibility into common issues and problematic components of the application. In the report shown below, you can see that we can quickly see areas of the application we need to focus on, and also understand how these components are related to other parts of the application, and may be causing flow-on effects. With Operations Manager 2012, we have made it very easy to delegate and publish information across multiple content access solutions. Operations staff have access to the Operations Manager console, and we can now easily publish delegated information to the Silverlight based Operations web console and also to SharePoint webparts. And best of all, the information looks exactly the same!